Experts differ as to whether cleansing hair with sulfates is a good thing or a bad thing. We present ideas, thoughts and opinions on both sides of the issue. You’ve thrown out your flat-iron, finally found the right curly cut, and learned how to style your spirals. So why are your locks still frizzy, dull and dehydrated? And why have your freshly colored tresses turned brassy in a matter of days? Curl-centric stylists say the answer may be found on the back of your shampoo bottle. Although many traditional shampoos contain sulfates (which are a classification of foaming agents also known as surfactants), curl experts say these harsh detergents steal the moisture that your tresses so desperately need. Sodium laurel sulfate is quite irritating and can be rather drying to the skin, but companies have come up with milder versions like sodium laureth sulfate, says Jim Hammer, a cosmetics chemist and product development manager at Pharmasol Corp. in Easton, Mass. But with any detergent cleanser, the flip side of removing oils you don't want is that you also remove oils you do want, Hammer says. How does this happen? Sulfates create a dense lather that strips away sebum, the oily substance secreted by the sebaceous glands that prevent your hair from drying out. You’ll find sulfates in countless cleaning products — ranging from car cleaners to laundry and dishwashing detergents to shower gels and toothpaste. And, of course, shampoo. Dean began to realize the harshness of sulfates nearly two decades ago when he was in the early stages of his career, starting out as a colorist. While shampoos contain about 8 to 10 percent detergents — a fraction of that sulfates — Hammer says cleansing conditioners use cationic surfactants, which contain softening and anti-static properties. They are technically surfactants and will cleanse the hair, but they're not a detergent in the classical sense—you won't see the foam as you would with shampoos. Cationic surfactants are more related to a conditioning agent, so they don't have the stripping effect of a normal shampoo. A handful of hair-care companies and curl-centric stylists, like Massey and Dean, have been touting the benefits of sulfate-free cleansers for more than a decade. But many people have only just started to embrace them after the recent, intensified focus on the environment. But change can be uncomfortable. While curl experts see a shift toward sulfate-free products, they also still see plenty of resistance. Although sulfates are still widely used, Hammer says a lot of companies are interested in moving away from them. The marketing mantra of “wash, rinse, repeat” was firmly embedded in the mind of Kelly Foreman, until she realized how sulfates were stripping her color-treated, curly locks. Two years ago, she launched her own sulfate-free product line called Mop Top. Forman’s Gentle Shampoo does contain coconut-derived surfactants, which she says are much more gentle than sulfates. Her basic recommendation is to start with a sulfate-free shampoo every seven to 10 days — and then adjust based on how your tresses respond. Based on customer feedback, Foreman is now reducing the amount of surfactants in the shampoo even further — cutting them in half. She also plans to launch a zero-lather cleanser this fall because of customer demand. “It’s an exciting time to be in this industry,” notes Inga Tritt, who launched The Original Little Sprout in 2003 as a sulfate-free hair and skin-care line for children. The idea for her own product line emerged after a frustrating search for sulfate-free products that actually worked on her young daughter, Maya’s, curly locks. Tritt’s sulfate-free shampoos do contain some foaming agents, but they’re derived from beets, coconuts, almonds and sunflowers. “For curly hair, a sulfate-free shampoo is a win-win because not only is your hair going to look much better, your frizz is going to be considerably reduced,” says Tritt, who is introducing a sulfate-free shampoo for adults this fall. Take Jessicurl’s Jessica McGuinty — yet another example of an educated curly whose relentless research resulted in her own line of sulfate-free products. “I was spending all kinds of money and doing my hair over and over again and trying to get it to look right and not understanding why it didn’t," says McGuinty, who launched Jessicurl four years ago. "Well, there’s no way it could look right when I was stripping it with sulfates, then loading it with silicones to calm the frizz that sulfates cause." The Jessicurl line includes two sulfate-free cleansers that contain more gentle surfactants derived mostly from sugar and coconut. Their Hair Cleansing Cream has a minimal amount of lather for dry, coarse, or color-treated hair, and the Gentle Lather Shampoo provides a bit more lather for fine hair that tends to easily become weighed down. As the demand for sulfate-free products has encouraged the growth of small, independent companies like Jessicurl, the giants in the beauty industry also have begun paying attention. In one notable example, just last month, beauty industry behemoth L’Oreal acquired PureOlogy — known for its sulfate-free shampoos. Curl expert Christo of New York's Christo Fifth Avenue has built his entire career — and his Curlisto product line — around helping curlies maintain healthy hair. That is why he is very frustrated by what he calls the unfair "attack" on shampoos. “I would never do anything to harm curly hair," says Christo. "Sulfates are just one small ingredient along with many other good ingredients, like proteins and amino acids, etc. You need them to cleanse your hair properly, remove the buildup and maintain the hygiene of the hair. Sulfates are a common detergent in shampoos, dating back to when the first bottle appeared on store shelves in the 1930s. Although a number of hair-care companies are opting not to include these detergents in their products today, some curl experts say the shift away from sulfates is nothing more than a gimmick. Only a small fraction of the ingredients in shampoo are detergents, including sulfates, according to Jim Hammer, a cosmetics chemist and product development manager at Pharmasol Corp. in Easton, Mass. He says many shampoos also contain a combination of nurturing ingredients that will provide enhanced mildness, even in the presence of a sulfate. “The word 'sulfate' has become part of a marketing scare, and there’s a lot of propaganda,” adds Jonathan Torch of Toronto’s Curly Hair Institute. 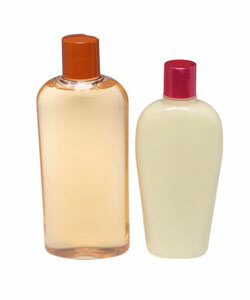 Torch’s product line includes a Treatment Shampoo and a Silk Shampoo, both of which contain ammonium laurel sulfate. Rather than skipping shampoo altogether, Christo emphasizes the importance of continuously feeding curly hair the moisture it needs. Shampoo is critical to cleansing the pores of the scalp and allowing the roots of your hair to breathe, according to Ouidad, owner of New York’s Ouidad Salon. The key is moderation, say the curl experts. Shampoo once or twice a week rather then every day.